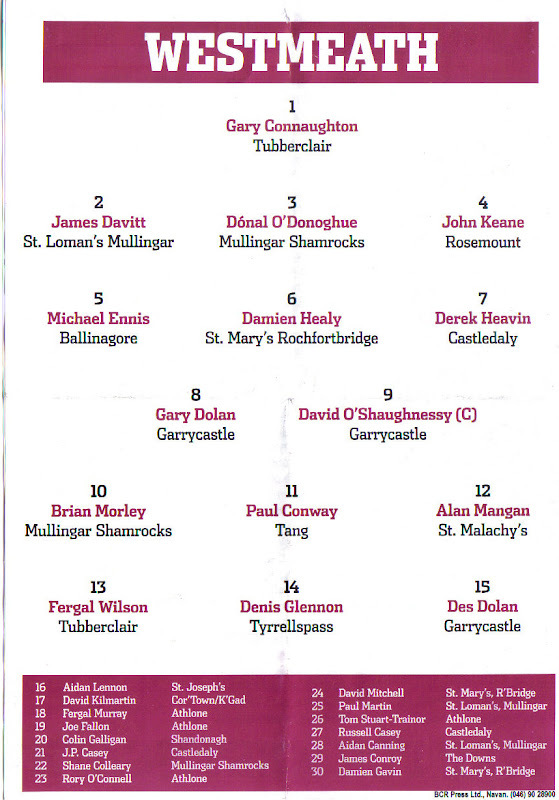 6th of June 2004 outside Croke Park… Westmeath are playing Dublin and Kildare play Wexford. 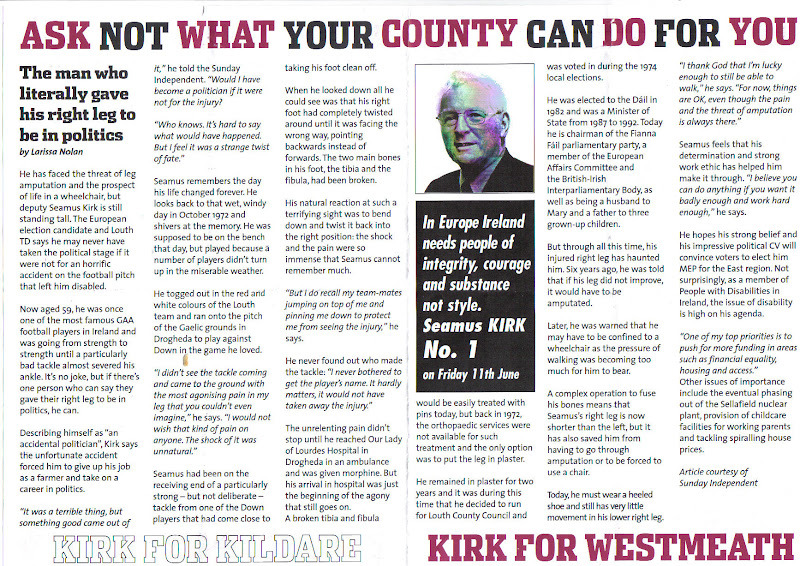 Seamus Kirk and his team give out mock programmes. 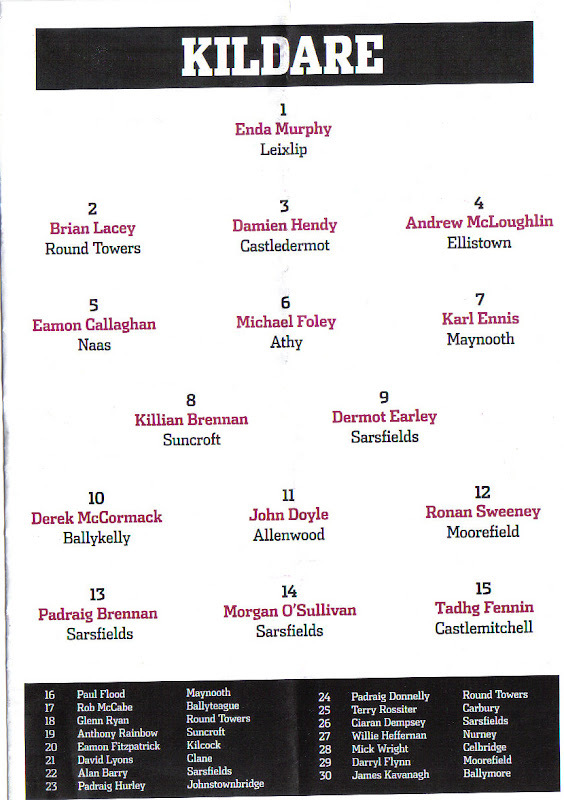 The Kildare and Westmeath lineups are listed as well as a message from Seamus in the middle, with a play on a slogan used by the Bank Of Ireland in its GAA themed ads. Seamus uses the leaflet to copy an article from the Sunday Independent which tells the reader of his political career, his triumph over adversity and his GAA pedigree both on and off the field. You would do well to have something more tailored to your potential audience. It’s very clever too as it covers a team from both matches and may well be looked at for the afternoon. Given that Westmeath beat Dublin that day (on their way to their first ever Leinster title), it may well have been held on to by a few Westmeath fans. Sport is theme used by many politicians to try to get the voter interested. (more on that another day). You may also notice that the leaflet is printed by BCR press. (On the List of TDs expenses at http://thestory.ie/2009/08/31/donation-to-tds-1997-2008/ BCR contribute over €10,000 to Fianna Fail Meath TDs Noel Dempsey and Johnny Brady).